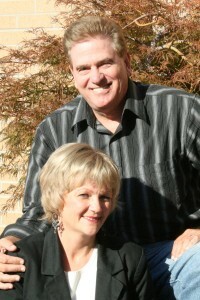 Biography: While Harvest Force Inc., a missionary/evangelist ministry, took root in 1992, the work of its founders, John and Cecilie Croissant, began years before and has included the planting and pastoring of three churches between 1983 and 1996, as well as the establishing of Bible schools and the Victory Bible Institute overseas. In addition, the Croissants have taken part in an ongoing, extensive international travel ministry that includes crusades, seminars, women's conferences and worship services. Cecilie has also published two solo albums, and the couple have written five books that are used at Victory Bible School of Worship where Cecilie is director. John and Cecilie are both Bible school teachers at Victory Bible Institute, itself part of the 15,000 member Victory Christian Center, and Cecilie is band director and worship leader at VCC in Tulsa. Although Harvest Force is now a missionary/evangelist ministry, the Croissants believe God is moving the ministry toward a church plant. Its mission, the Croissants say, is to 'bring the lost to Christ and disciple believers in the knowledge and ministry of Jesus Christ," and from Acts 26:18, "to open their eyes, in order to turn them from darkness to light, and from the power of Satan to God, that they may receive forgiveness of sins and an inheritance among those who are sanctified by faith in Jesus." Strengths: John and Cecilie's strength lie in praise and worship and teaching. Family: John and Cecilie have an adult daughter, Kathryn.